Our onsite parking lot offers ample parking, but we also offer valet parking on Friday and Saturday evenings as an added convenience to our guests. Every Tuesday we feature the charismatic Steve Burke from 6-9pm. Friday and Saturday performances run from 6-9pm and performers vary from the jazz stylings of So Distinct, to the smooth sounds of Tony Cerbo or Mike Dutra of Simply Sinatra. Please visit Terrazza for more information on this week's upcoming entertainment. 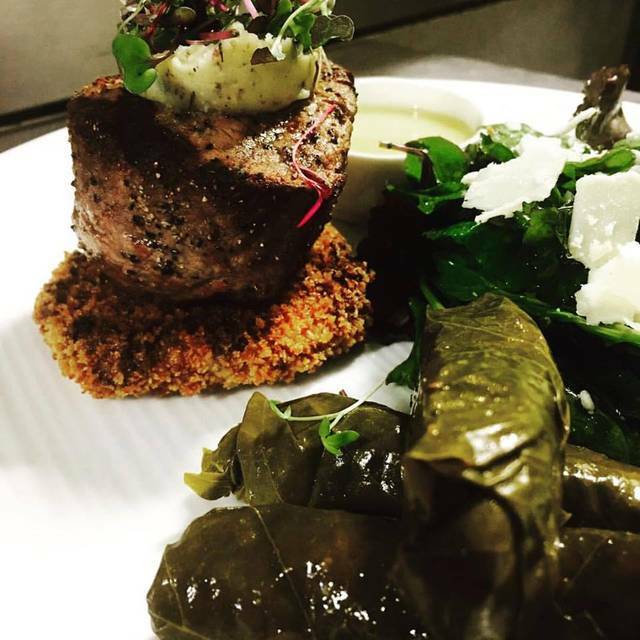 With a wide variety of options available in addition to our restaurant menu items, we invite you to speak with Executive Chef, Marios Azrak, for more information on how we can best cater to your needs. 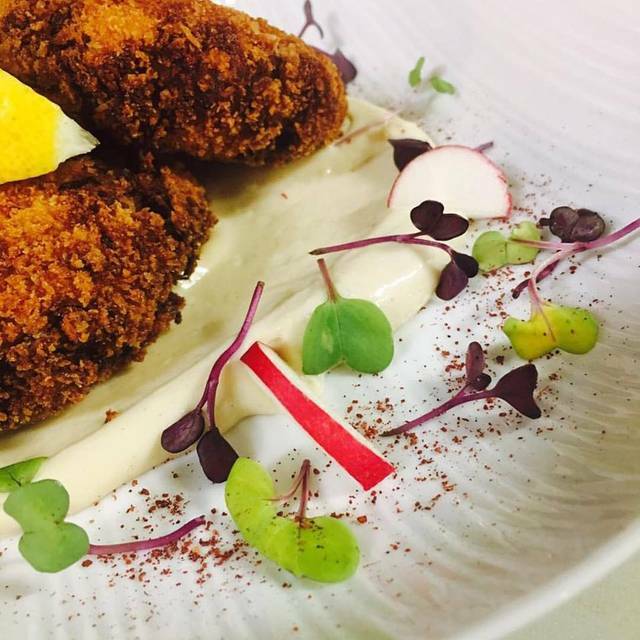 Featuring a fusion of Mediterranean cuisines, Terrazza is Smithfield's hidden gem. 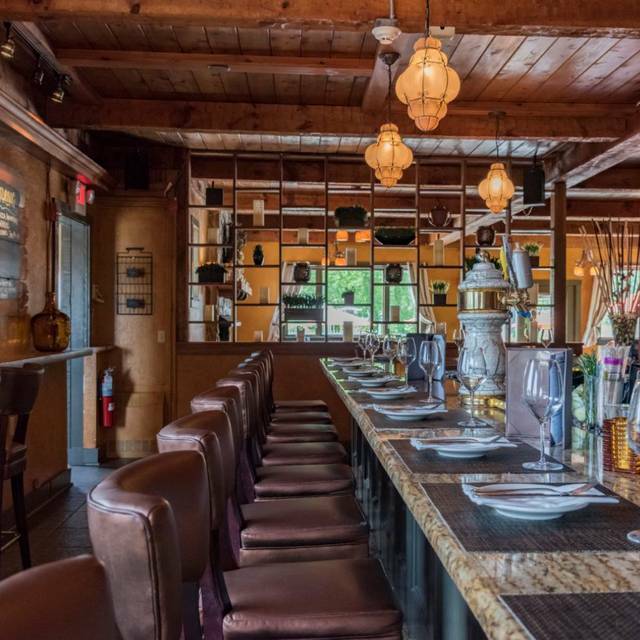 With an expansive patio for al fresco dining and a cozy dining room for intimate dinners, our beautiful location is sure to please. 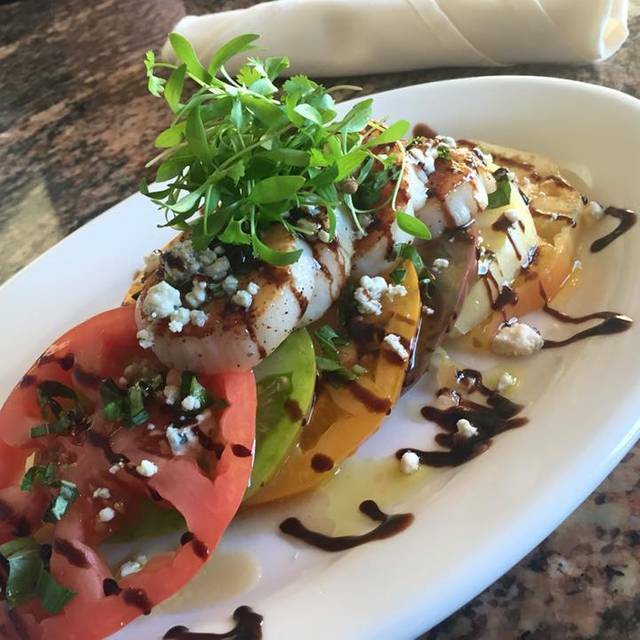 Focusing on Lebanese, Greek, and Italian cuisine, the appetizers will entice, the fresh salads with enchant, and our decadent entrees will satisfy even the most discerning palate. Come sip creative cocktails, craft beer, or a glass of wine and stay for delicious dining at one of our two full service bars. You'll love the live entertainment we offer every Tuesday, Friday, and Saturday from 6-9pm and have plenty of room to dance, or simply sit back and enjoy. 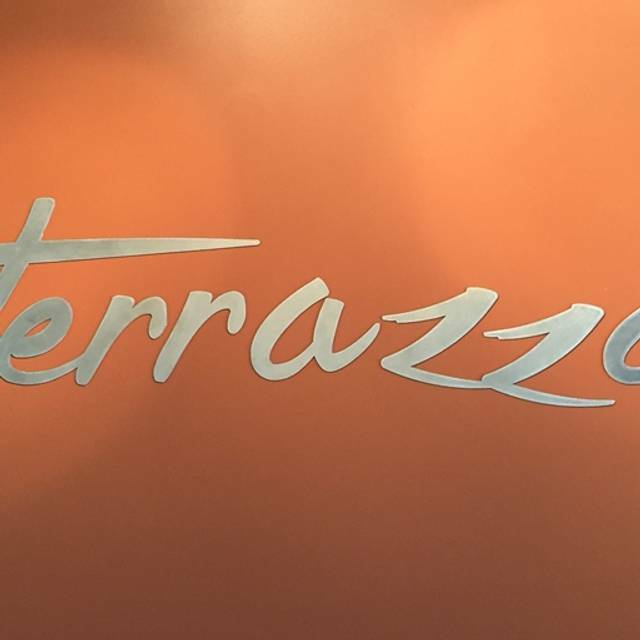 Whether you come visit us for the fantastic food, relaxing atmosphere, or outstanding service, you are sure to be impressed by all that Terrazza has to offer. A generous portion of three meatballs cooked to perfection, over some home made marinara sauce. Good quality cooked simple for all the puritans out there. Half off select bottles of wine every Thursday. Enjoy our Delicious martinis on Wednesday for six dollars ! Lobster eggs benedict and bottomless mimosas specials for brunch./ Dinner special details to come. Please join us on facebook and Instagram @terrazzari to stay up to date on specials and events. Went because we heard the fish and chips were excellent. Lots of fries and about a 4 ounce piece of fish for $16. From App to entree was horrible! Sent main dish back. After spending a decent amount of $$ we had to stop at a drive through on the way home. We were 2 of 6 people in the restaurant, I believe more detail should have been paid to the food. There was a big party in there and they were so loud and obnoxious I definitely feel like the manager should have told them to calm down a little. They were swearing very inappropriate. The service was so slow and no one barely paid attention to us. The food was over cooked. Also we both got sick for two days from the food. Very disappointed. Excellent meal from start to finish. The service was great, we were seated right by the fireplace which was perfect. It was loud due to a private party, but I did not get the impression that this is the usual here. Overpriced. The burger was not worth the money. I was expecting a decent sized delicious burger but I received a burger I could have cooked at home. The food was all way to expansive for what was served. Food was great, service too. There are 2 small windows that don’t have have shades and they did provide a glare to the eyes that is irritating but otherwise great place! Amicable staff. I quite fancy the dimmer lighting environment during evening hours. An overall phenomenal experience. A must come to if you find yourself in the Smithfield area. Went there to hear the music which was great. Love Bill Morretti and Ginny Connelly. also the bass and guitarist were great! Appetizer s of hummus, eggplant fantastic. Would have been a 5 star review but ribeye was very overcooked.We will defintely be back Many was a great server. Quick to get seated. Excellent service from Julia. Loved the ambiance from dimmly lit room and candles on table. Fig and prosciutto Flatbread amazing..husband loved his jalapeno cjeddar burger. He even ate his fries! Was intrigued by the "igloos" outside, which i found out you can rent for a quaint private party! Gets a bit loud as room fills up, but tolerable. Prices reasonable. Definitely going back! First time for dinner here... loved the atmosphere, our food was good as well. Would definitely come back. We love Terrazza- it’s one of our favorite ‘regulars’! Every thing obout our night dining there was excellent. Will be back for sure. Our dining experience was okay during this visit but not exceptional as in the past. We were a party of 5 and 2 people in our party ordered chicken dishes; Melanase and Parmagian and both received extremely over cooked thin dry chicken. The service was okay but we were surprised when our waitress added her 20% tip to our bill in advance. I understand this is typical for a large party, however I have never seen this done for a party of 5. Not sure if we will go back after this experience. One of my favorites and they never disappoint! The flatbread pizza with fig and arugula was amazing! The drinks were delicious as well. It was a little noisy when we first got there but nothing too distracting. Great food and atmosphere! Waitress was wonderful! We will definitely be back!!! Good food and atmosphere. I wish they played relaxing Mediterranean music instead of top 40. Beautiful little restaurant with amazing food. I took my fiancé there for the first time for his birthday and we loved everything we ordered! Great experience. One of my favorite summer spots. So many healthy options. I love the energy and atmosphere at Terrazza! We love the menu, indoor fireplace and the variety of entertainment. Perfect Valentines Day setting! Great food and even better service!! Excellent service, food and atmosphere. Our new favorite restaurant! The atmosphere was very pleasant and relaxing and the service was outstanding. Several special requests with the food were met and everyone in the party enjoyed their meal. We were not rushed and as it was a slow weeknight we were able to enjoy the table for as long as we needed it. My husband and I went for an early Valentine's dinner this past Tues night. The restaurant is beautiful and our waiter Shawn was so friendly! We had the whole place to ourselves (as it was snowing out and they were closing early,but stayed for us because we had a reservation.) We sat in front of the fireplace and ordered some wine, my husband beer. We had the stuffed portabello mushroom as an appetizer it was absolutely delicious but my only complaint is that it was cold. For the main course I had salmon which again..flavor wise tasted good but was over done. My husband had seafood fra diavolo and he loved it. I would definitely come back and try something else! Always good meals. Best Calamari I've ever had. Very reasonable prices for great meals and drinks. Terrazza never disappoints us! The food and service is consistently very good! - we were seated (for the first time ever) to the area to the right of the bar. It feels very cramped in there. - also, that area really should have some sort of window treatment for blockage / privacy from the parking lot. At night, headlights of cars driving in the parking lot area shine right in. Food allergy managed well - thank you! Good food although salad could have been bigger for me (like my greens!!) and wish there was flexibility for my friends desire to have a side of Brussels. Good food, good service a go to restaurant. One of the best experiences at a restaurant I’ve been privy to. From the start with the amazing server. (I believe her name was maddy) to the meatball appetizer. The surf and turf was cooked to perfection. I highly recommend this place and will be back soon. Keep up the amazing work. I've been here twice. The first time I said 5 stars. The second time we had the same waitress and I ordered the same meal and it was awful. I don't understand how one place can be so completely different. I could see the waitress having an off night, but the waitress and the chef? Excellent food and great atmosphere. Definitely will return. Love Terrazza! Good food & cocktails, variety of menu options, cozy atmosphere...it’s one of my favorite go-to restaurants.